This Bull Terrier nicknamed Rocky sold and went to a new family. 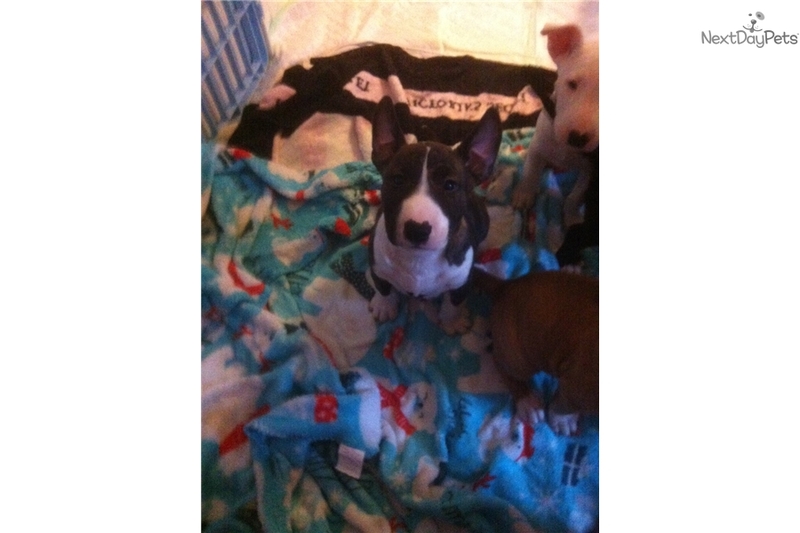 The pattern on this PUPPY shows purity and true pedigree of what a REAL PURE BRED BULL TERRIER should look like. This Beautiful black/brindle and white male. He is really coming into a very sweet personality. He is a big sweetheart. If interested Please call (904) 476-7955 or (904)354-7206.